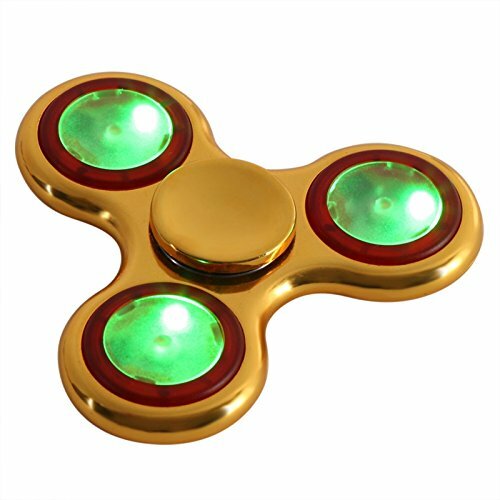 2017 Best Fidget Spinner with LED lights: This revolutionary fidget tri-spinner has 3 LED lights located in the arms of the spinner, and glow with 3 colors (red, blue and green). 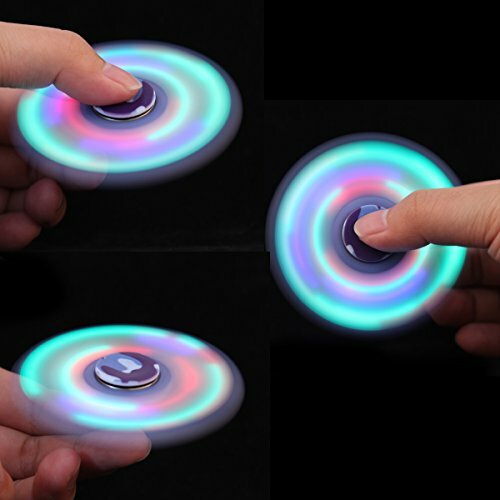 There are 3 switches on the 3 arms of the spinner, so you can control the light colors separately. When you spin it, it shows different combination of colorful circles. Replaceable Batteries: All of the 3 batteries located in the arms are replaceable. The batteries included can last very long even you use the spinner very much. When the batteries go dead, just replace them and you get a brand new LED spinner. Extremely Durable Design: This spinning toy will serve you for ages due to ultra-durable high-speed premium ball bearings in the center, that allows the most fluent rotation and 3 counterweights to provide indefinite rotation for this spinner toy! The spinner body is made of zinc alloy, which is advaced material with high durability and anti-scratch properties. 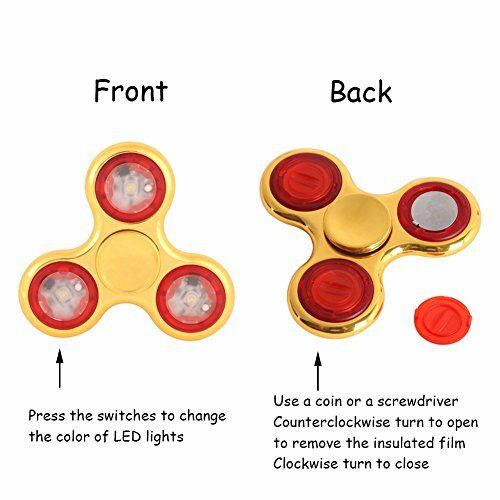 ►If you have any problem with our LED fidget spinner, please contact us without hesitation, and we will solve your problems immediately and make up for your loss. Your satisfaction is always our first priority. 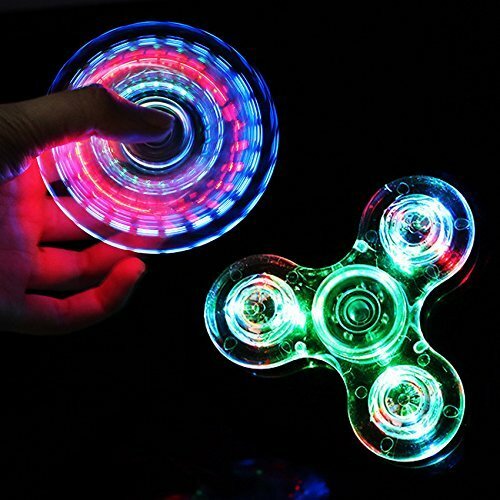 ►Make your kids, friends or family more focused and help them to quit bad habits with this revolutionary Fidget LED Glowing Tri-spinner Stress Reducing Toy available now on Amazon. 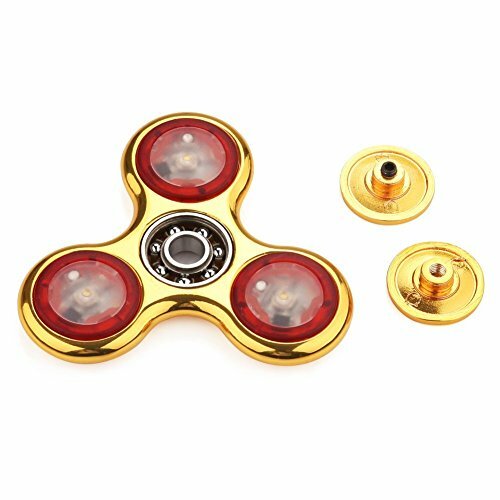 This spinner toy is manufactured from high-quality zinc alloy which means better looking, more durable and much higher shatter resistance while compared to other spinners. 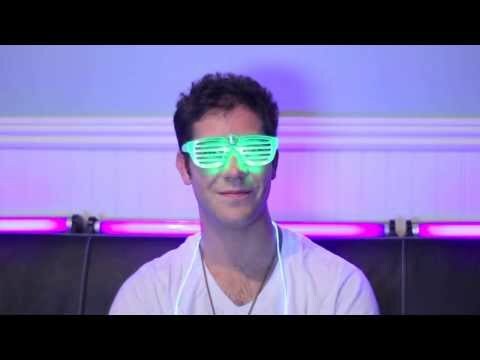 Plus, it’s all-new 2017 model that has 3 LED lights glowing with different colors while you play with the spinner. It can really help those who have fidgety hands or suffer from ADD&ADHD to relieve stress and anxiety. Spinner toy will also be helpful for people trying to stop smoking, nail biting or leg shaking. Just simply click button on every shining part of spinner to change lighting type or turn it off! Take spinner in any hand and use the other hand to spin it fast making short continuous hits to keep it spinning endlessly. For one-hand usage put it in a hand and use your fingers to start or stop spinning. 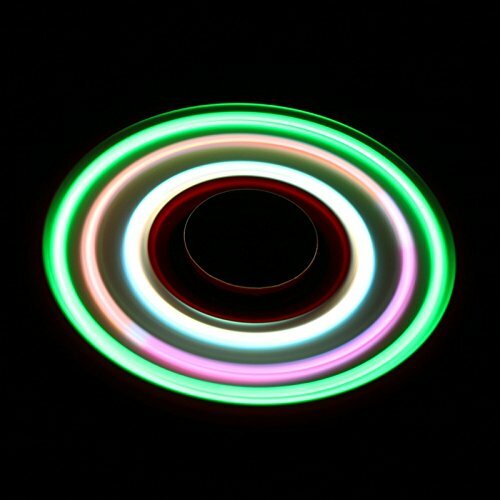 ►Become more effective, focused and positive playing this new LED Glowing Tri-spinner Stress Reducing Toy! Press “Add to Cart” now to receive 100% money-back guarantee. ► Perfect as a gift for your parents, brothers, kids, boyfriend/girlfriend. 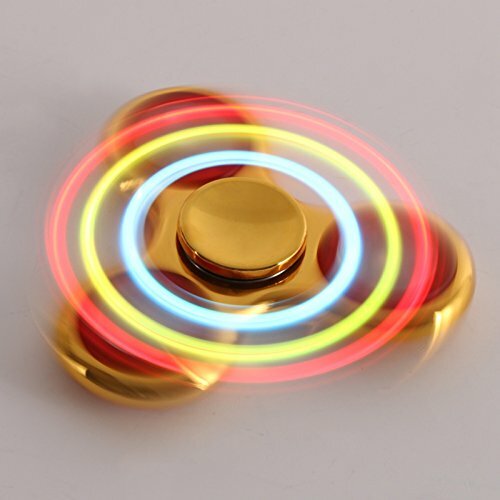 Helps You Focus and Quit Bad Habits: This spinner is not only an amazing entertaining toy for kids that helps them to become more focused, attentive and quiet but also perfect for adults who suffer from fidgeting, anxiety, ADHD, autism, staying awake on long car drives. It’s an irreplaceable spin toy for those who are trying to quit bad habits like nail biting, leg shaking or smoking. Carry It with You Anytime Anywhere: You can carry this hand spinner in your pocket or small bag without any inconvenience. 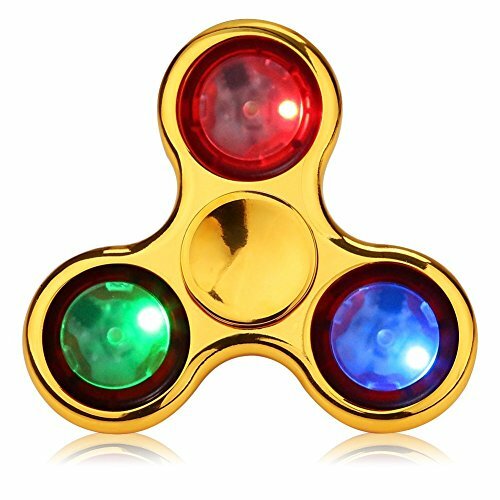 Take your chance and push the button “Add to Cart” to receive this fantastic (probably the best in 2017) fidget tri-spinner toy in 2 days.